2018 Second Quarter Grants and More Good News! Four County Community Foundation is dedicated to bringing together human and financial resources to support progressive ideas in education, health, and community. In all, the second-quarter competitive grants totaled over $32,600. Congratulations to the following community groups that received funds during the second quarter competitive grant cycle. Addison Township Fire Department received funds to help purchase two stair chairs to increase the safety of patients and reduce risk to providers while moving patients. Capac Community Schools will use their grant toward the purchase of a CNC Router for their award-winning FIRST Robotics Team, Metal and Soul. The router will allow the team members to produce their own machined parts. Imlay City DDA procured funding to support the creation of a Downtown Art and Historic Walking Tour, designed to expand awareness and interest in public art and historic buildings, as well as increasing pedestrian traffic in the downtown area. Samaritan House received a grant to continue their essential work providing emergency food, shelter, and utility assistance to very low-income individuals in northern Macomb County. Starkweather Arts Center is planning once again to offer summer art/clay classes and to sell some pieces as part of the Empty Bowls program in support of the food pantry at St. Clement’s Agape Center. The grant will help purchase necessary clay and glazes to keep studio costs affordable to students. Turning Point, Inc. received a grant to continue support of victims of domestic violence staying at Turning Point’s emergency shelter. The shelter accommodated 561 survivors in 2017. The Village of Almont will use their grant to promote the ever-popular Music in the Park concert series, held each Thursday evening beginning June 14 with Altar of Stone. 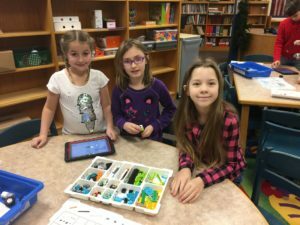 21st Century Education grants were given to Almont Middle School for transportation to Camp Lael for three days of science and to Hevel Elementary School in Romeo for “Qubits” and “Keva” for the Makerspace Club. A YAC-Kellogg grant was awarded to Imlay City High School for the 2018 Senior All-Night Party. Kellogg grants provide funding to allow all students to attend a safe, event-filled overnight party on the day they graduate. Dryden Township Police Department will have new defibrillators in their patrol cars, thanks to a grant from our Healthy Senior/Healthy Youth Fund. In addition, the HS/HY Fund and the YAC-Kellogg Fund will support the Capac Football Parents Club and the 2018 Capac-Imlay City Victory Day, scheduled for September 15, 2018. 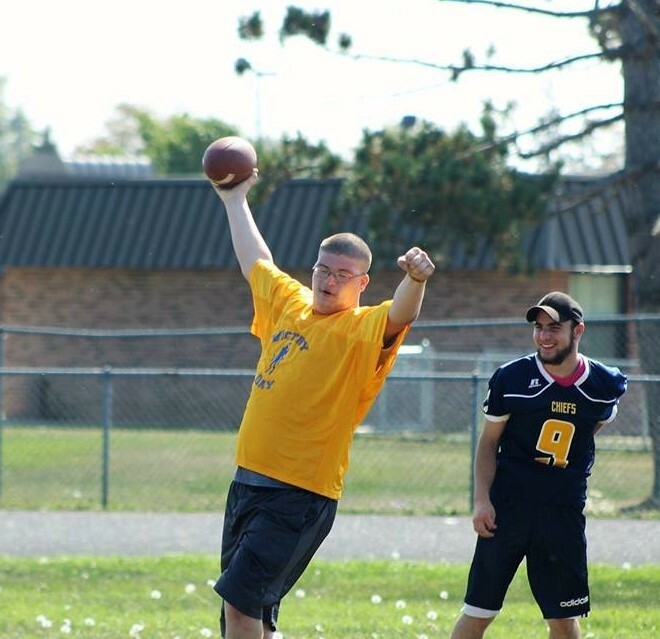 Victory Day is a fully-funded Football and Cheer event for children and young adults ages 5-26, with cognitive, developmental, and/or physical disabilities. Our 4CCF YAC will join the football and cheer teams from Imlay City and Capac, along with the CHS softball and volleyball teams and the CHS Marching Band to make this a day to remember for the participants, the parents, and all of the spectators. Mark your calendar! 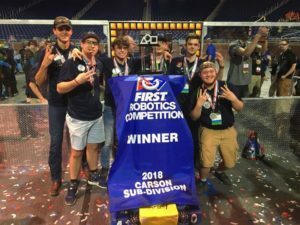 The Richmond Blue Devils celebrate their win at the 2018 FIRST Robotics World Championship in Detroit. In addition to competitive grants, our Pro-Active Committee jumped in to help cover entrance fees so that two of our robotics teams could attend the FIRST Robotics World Championship Competition in Detroit. Capac High School’s Metal and Soul and the Richmond High School Blue Devils both had about a week to decide whether they could afford to attend the event, after receiving word they had advanced to the World Championship. With our help, they became two of the 700 teams from 37 countries competing at Cobo Hall on April 29. Team 4130, the Richmond Blue Devils, is listed as a Championship Finalist in the Carson Subdivision. Watch for these two teams to do exciting things at next year’s event!  Four County Community Foundation awards community grants four times per year to non-profit organizations serving the four corners area of Lapeer, Oakland, Macomb, and St. Clair Counties. To support programs like these, please visit our website at www.4ccf.org/donate or call us at 810-798-0909. Together, we can change lives. Our next grant deadline is July 1, 2018. 2017 Fourth Quarter Grants Give Back!